Are you aware of your printing costs? If yes, you already know that hardware and consumables only account for some of it. Other aspects to consider are the infrastructure, which should fit your company’s specific requirements, and must adapt to the processes and workflows it is a part of. Most importantly, you just want everything to work! 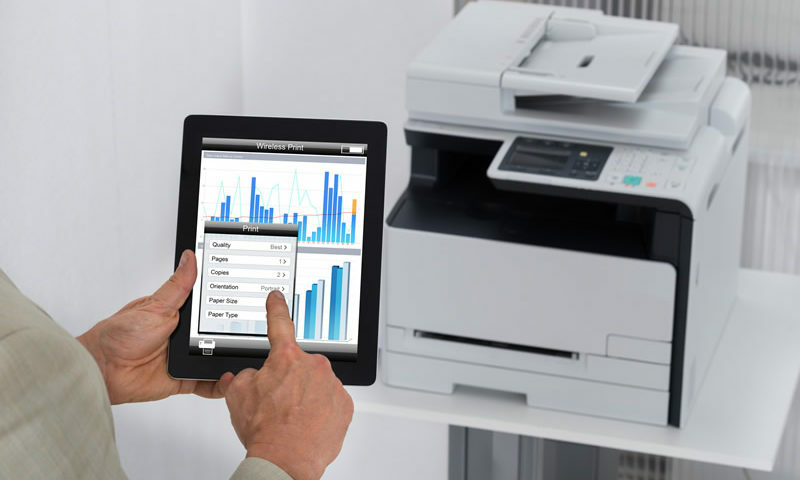 A lot of current printing environments are patchworks of printing, imaging and fax devices that aren’t managed or serviced to keep up with today’s business world. Such haphazard structures are an obstacle to your overall organisational efficiency. Having to spend too much time on administration or solving hardware problems keeps your employees from concentrating on their main tasks, and is a waste of time and money. The goal of our Print Management Services is to enable your company to increase the efficiency of all its print and scan related processes. We create an individual solution for your requirements, which ensures maximum data security, is financially viable and environmentally friendly. We develop improvement strategies based on precise facts and figures. An important part of our Print Services is the management of your entire print and scan infrastructure. We also focus on continuous optimisation – so that you and your employees can really concentrate on your core tasks! Need a Professional Print Management Service?